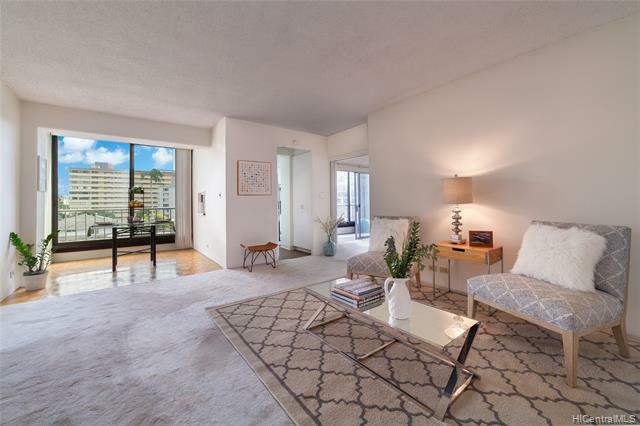 Sweet gem of a property in conveniently located Coronet: close to downtown, Waikiki, Ala Moana shopping center and more. 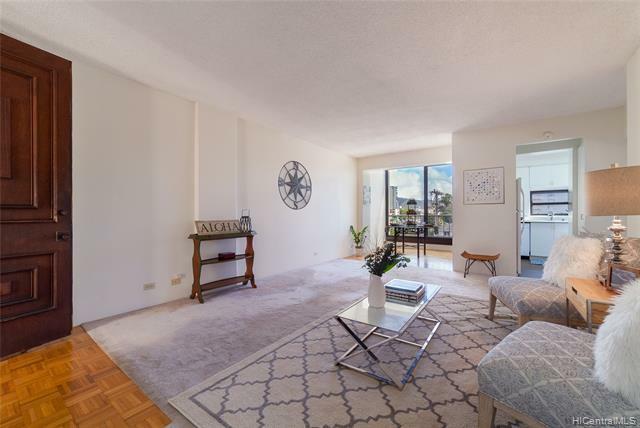 Spacious 2 bedroom with extra storage space right outside your front door! Only 4 units per floor with double door entry. 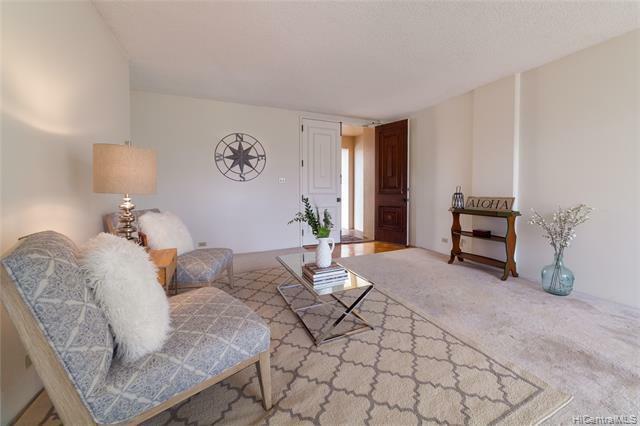 This property provides you with gracious living at an affordable price and is pet friendly too (please verify)! New vinyl flooring in kitchen and recently painted. Move in or update to your liking. 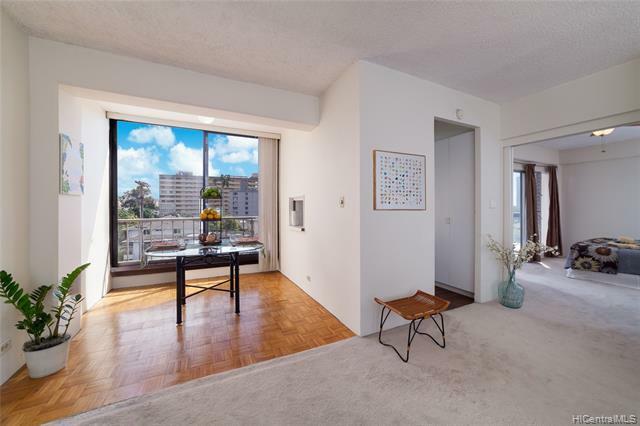 Enclosed lanai has city views and makes for a great yoga space, green house area, or study.